Being a gal with a skin type slightly more on the oily side, powder has always been something really important to my makeup routine. I once had an obsession with Rimmel’s Stay Matte Pressed Powder, but after smashing it endless times and repurchasing, I decided to turn to a loose powder. 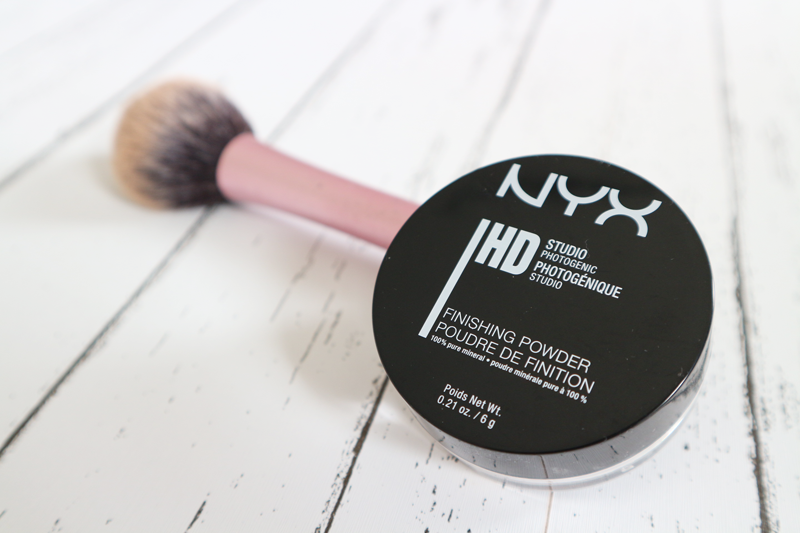 I’d been using Natural Collection’s for a while, until I saw NYX’s finishing powder while shopping a few weeks ago. I adore NYX’s lippies, so I thought it was about time I tried some other bits of their range.. 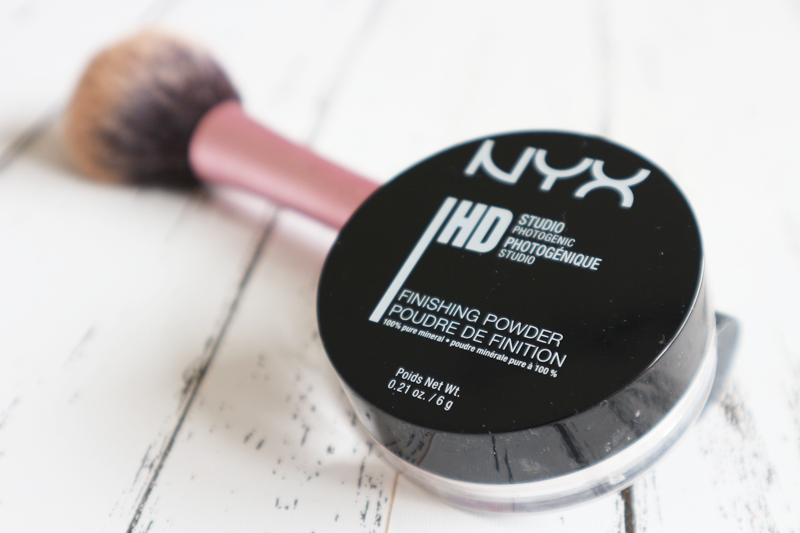 The NYX Finishing Powder is a reasonable £9 from most drugstores, and despite choosing to use it over my Natural Collection powder, I do have some mixed views on it! The main thing I want a powder to do is keep me looking matte as long as possible – nobody wants their face to look like a shiny mess. In terms of this, it does a pretty good job. I would still say I need to top up towards the afternoon, but it’s certainly the longest lasting powder I’ve used. It applies nicely and doesn’t cake up your makeup at all. The only thing I can’t quite handle with this is the texture. The powder itself is extremely chalky, and if you’re a bit like me – that cringes me out slightly. Screw the lid up and it makes a horrible sound/feeling that reminds me of chalk on a chalkboard – I can’t stand it! I’ve still got mixed feelings about this. I know I’ll carry on using it because ultimately it is a great product, I’m just not sure I can repurchase purely because of the texture! What loose setting powders do you recommend? "Review: ZOEVA Coral Blush Palette"